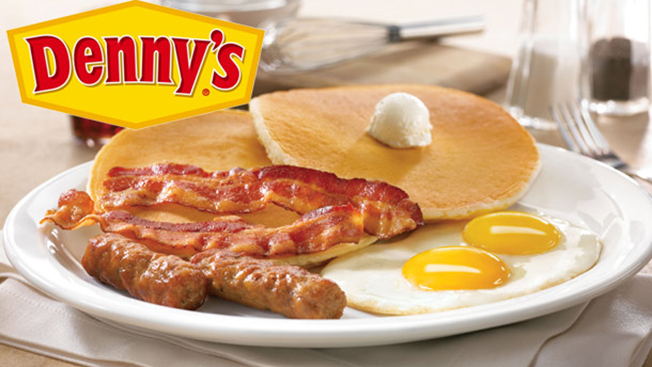 When you think of Denny's, what comes to mind? The famed Grand Slam breakfast? Or maybe a family road trip? Or are you one of the thousands of followers who know, and love, Denny's irreverent Twitter posts? If it's the latter, there's a good reason. Last July, the brand tapped Erwin Penland to run its social channels, and since then, engagement has increased over 200 percent. By commenting on current events, usually with its now-signature snarky tone, or posting relatable complaints, the brand has endeared itself to its followers. Tweets like these get favorited and shared thousands of times. Hitting the right notes on social channels—including Tumblr—is something Erwin Penland works to perfection. "As a diner where people come for great food and great conversations, social represents the perfect opportunity to bring the Denny’s brand experience to our customers when they aren't in our restaurants," says Kevin Purcer, director of digital strategy for Erwin Penland. While the brand goes for something a little bolder on its social channels, it tends to stick to family-friendly TV commercials that let its customers know about recent promotions. Still, who could forget the brand's incredibly odd cult favorite, "Nannerpus," from the 2009 Super Bowl? "Know your guests, know your target, and give them what they want, when they want it," says John Dillon, Denny's vp of marketing. "For Denny's, that clearly means offering them the products they want, but it also means giving them the engagement they want with the brand, on their terms versus ours … and with a voice that's unique to our brand and our brand DNA. Go beyond relevance, strive for being significant in their lives with content they'll want to share. We work hand in hand with our agency partner to bring this approach to life in social by offering content that is unique to the experience our audience craves across each platform." • Denny's Diner originally started out as a donut shop called Danny's Donuts in 1953. After three years, it grew to eight locations and was reconfigured to be a coffee shop named Danny's Coffee Shops. But there was already Coffee Dan's in Los Angeles. The name was changed to Denny's Coffee Shops, and in 1961 it was shortened to Denny's. • There are over 1,700 locations worldwide. • For its first location in Manhattan, which opened in August, the diner added a highbrow cocktail menu. • In 1977, the Grand Slam was introduced in Atlanta as a homage to slugger Hank Aaron. • After Super Bowl XLIII in 2008, Denny's served 2 million free Grand Slams. • Denny's was also featured in Breaking Bad's final run, with Walter White constructing his birthday bacon at the diner. —Brand of the Day is a new daily feature on Adweek.com. To submit a brand for consideration, contact Kristina.Monllos@adweek.com.